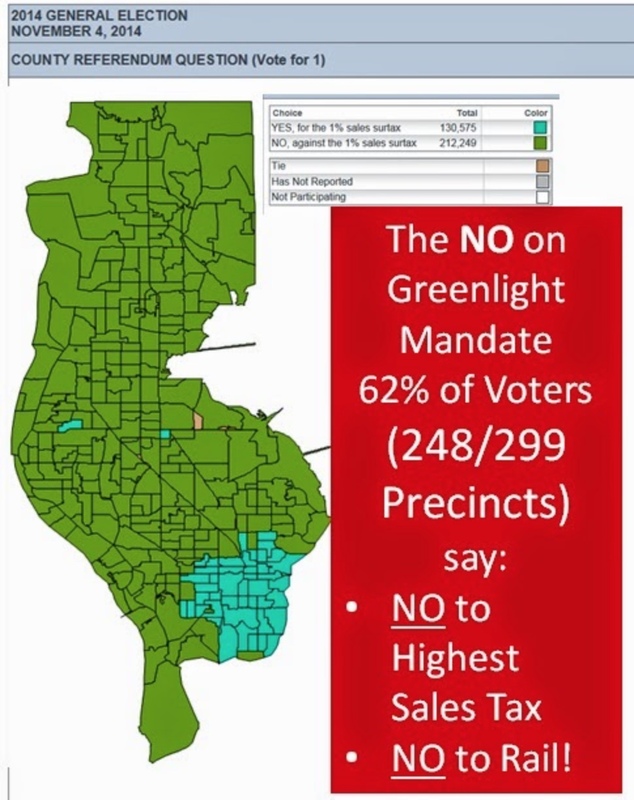 As we posted here, the petition effort for a massive 30 year 14% transit sales tax hike is astroturf and not grassroots. Tampa wealthy elites and well connected power brokers are using a group of Tampa urbanists and some paid political operatives to front them. The wealthy elites want to unnecessarily raise taxes to 8% - the highest tax RATE in the state - that will benefit them. Hillsborough County, growing by leaps and bounds with new growth and rising property values, can Fund Transportation and No Tax Hike Is Needed! Except when a billion dollar stadium is seeking public money It's a Package Deal! The Billion Dollar Stadium Needs Billions for Trains. It's the same Tampa power brokers seeking both. Both those transit tax hike referendums were overwhelmingly defeated by voters. 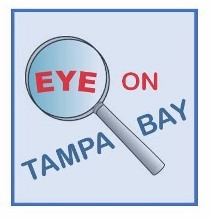 Tampa Bay Partnership must have lots of money to burn to keep funding LOSING transit tax hikes. 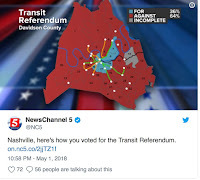 Let's throw in the latest transit tax hike boondoggle savagely defeated in Nashville 64-36% on May 1. See a trend? The public no longer is hoodwinked by multi-million dollar fairy dust and unicorn advocacy false advertising campaigns for massive tax hikes. 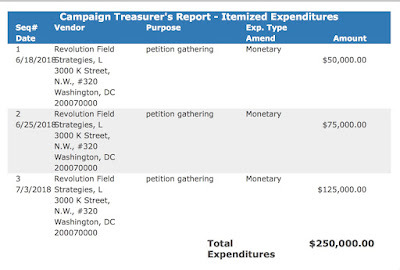 TBP is funded by special interests who pay $50K and $25K to be a member to lobby. And their top policy issue continues to be pushing costly transit in Hillsborough and Tampa Bay - when less than 2% use transit today and the vast majority want our roads, highways and interstates fixed and improved. 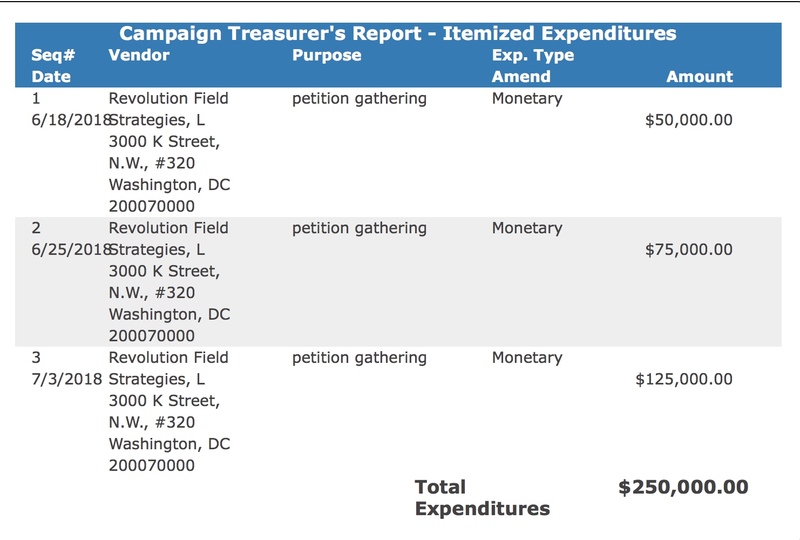 With the $600K that was donated to the AFT PAC from 4 special interests donors ($150K each), their last SOE campaign filing reflects they have paid Revolution Field Strategies $250K for petition gathering. That is not a grassroots petition gathering group. They are paying people to gather petitions who may not live in Hillsborough County or even live in Florida. The only reason the Tampa deep pockets want a massive transit sales tax hike from 7% to 8% (a 14% tax hike not a one penny or one cent tax hike) that takes $15-18 BILLION out of taxpayers pockets is to fund costly Tampa centric transit. Fixed guideways and rail are about land use aka transit oriented development to benefit them. 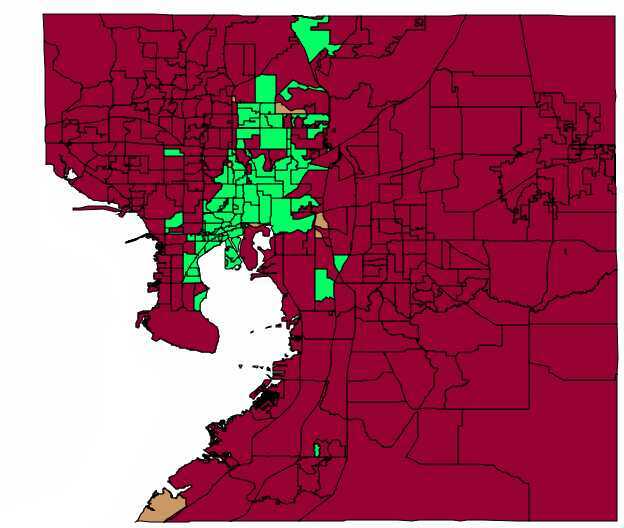 It is not about mobility solutions to relieve congestion for the 98% who use roads in Hillsborough County everyday. Just think of the Orlando Economic Partnership as Central Florida's version of Tampa Bay Partnership. The Orlando Economic Partnership was created thru the merger last year of what was the Central Florida Partnership and the Orlando Economic Development Commission. Their "investor" level pay to play lobbying starts at $100K and they receive taxpayer monies. The developer of Water Street Tampa has parted ways with the majority of contractors doing pre-construction work on the massive, mixed-use project, instead hiring a Miami firm for most of the buildings in the district's first phase. Coastal Chairman and CEO Thomas Murphy Jr. is the father of Patrick Murphy, the Democrat who challenged Sen. Marco Rubio in 2016. The elder Murphy was the "financial muscle" behind the campaign, the Tampa Bay Times reported in May 2016. Skanska is building the University of South Florida's Morsani College of Medicine, which is on an acre of donated land within Water Street. That construction project is under the purview of the university, not SPP. All the major donors to this reckless massive Tampa centric transit tax hike is Jeff Vinik and those connected to him and Vinikville - Morsani, Tampa Bay Partnership and Coastal Construction. We have to assume Vinik did not get all that he wanted from the state so he is intent on getting more - BILLIONS more - from Hillsborough County taxpayers of whom over 2/3 of them live in unincorporated Hillsborough County. There is much more going on with this petition effort than just the astroturf funding it - a post for another day.